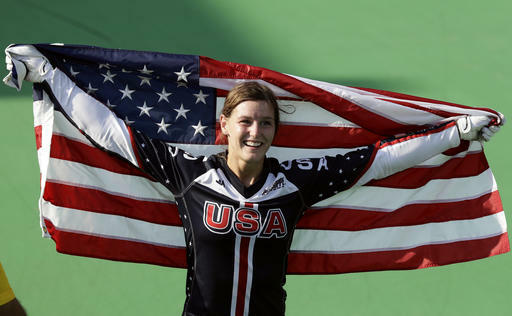 U.S. BMX cyclist Alise Post and Australian rider Sam Willoughby can wear matching silver medals at their wedding in April. Post took silver in the women's final on Friday, edged out by defending gold medalist Mariana Pajon of Colombia. 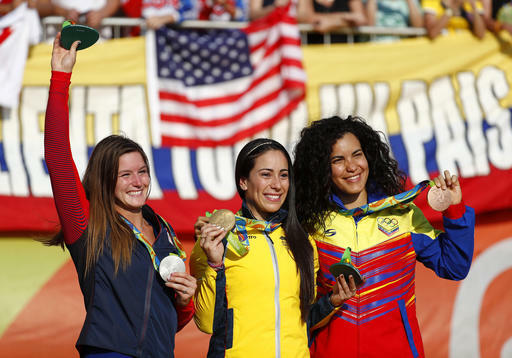 Venezuela's Stefany Hernandez took the bronze. It was the best showing by the United States in BMX racing since the action sport was added as a medal event in the Summer Olympics in 2008 in Beijing. It was also the first medal for a U.S. rider in the American-born sport since Beijing. Post's teammate, Connor Fields, later added to the haul and became the first American to win BMX gold after finishing first in the men's final. Post was ecstatic for Fields, but also shared in the disappointment of her fiance, Willoughby. The 2012 silver medalist, Willoughby finished sixth in the final after winning all three of his semifinal heats. After the medal ceremonies, Post briefly caught up with Willoughby before she rushed away to do another round of media interviews. They were both hoping to go home with gold. The matching silvers will have to do. "My heart is with Sam ... But it's BMX. It's one of those sports where anything can happen," Post said. "I guess we'll go home and discuss it over dinner with the dog." Celebrating #100DaysOut with my fav #womencrushwednesday This little furball reminds me to enjoy the little things along the #RoadToRio!